This one is loaded with both fun as well as crucial thinking ability. Also, the touch or feel with various kinds of stuff available opens up the neurons and helps grow the neural network. 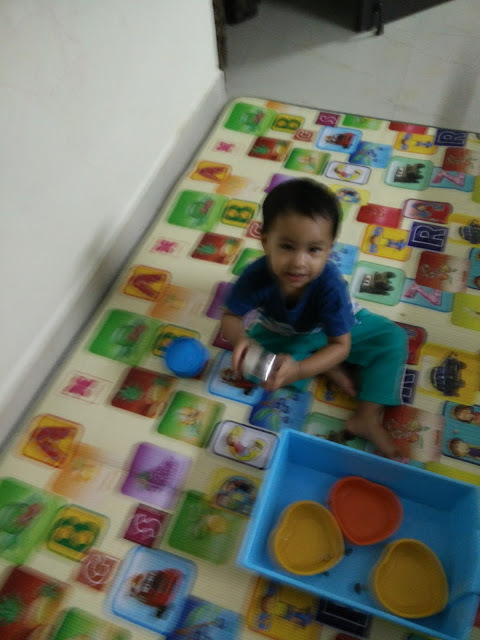 I have offered my toddler, rajma seeds and kabuli chana both mixed in a bowl. 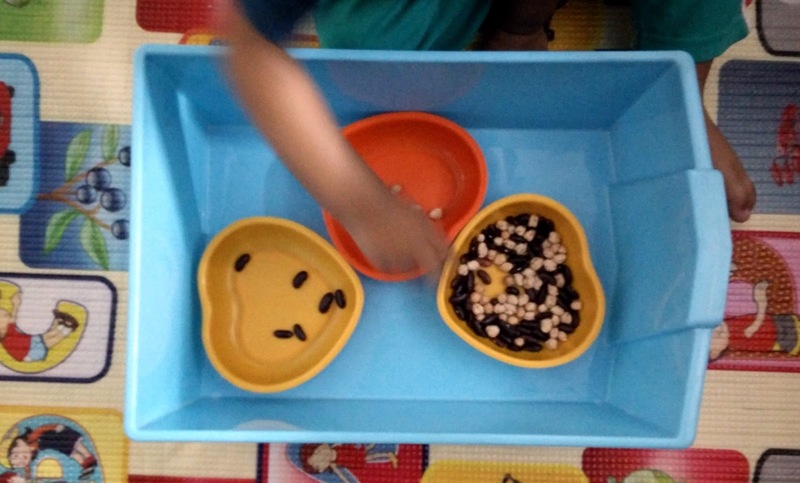 I explained to her what each one is, asked her to touch and feel how it is and showed her that they can be segregated into two different bowls based on the category. That's it, she got busy for some time now. And later, I put some of the seeds in plastic box and another few in steel box. 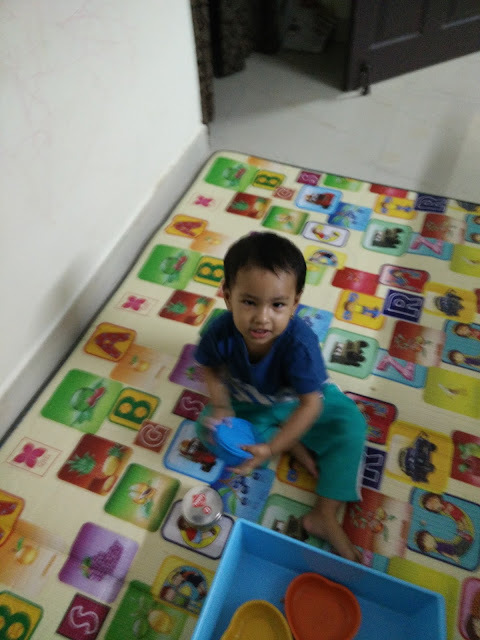 Showed my toddler how it sounds when we shake the box (also termed as sound shakers). Needless to say, she enjoyed the sound, the mess and had fun overall.